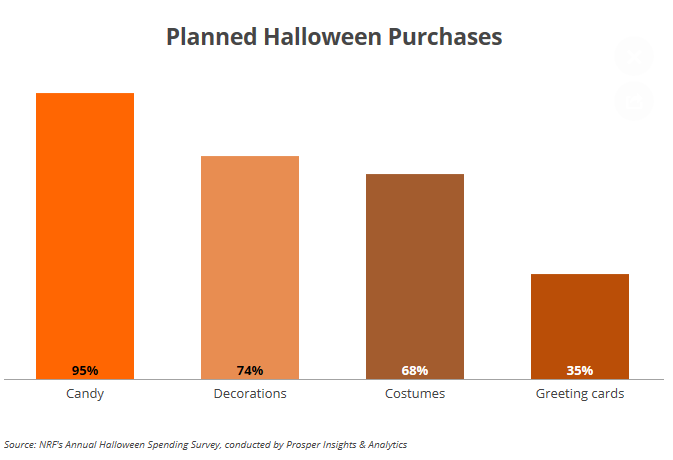 Once again, Americans are looking forward to splurging on their favorite candy, costumes, and decorations during the Halloween season. 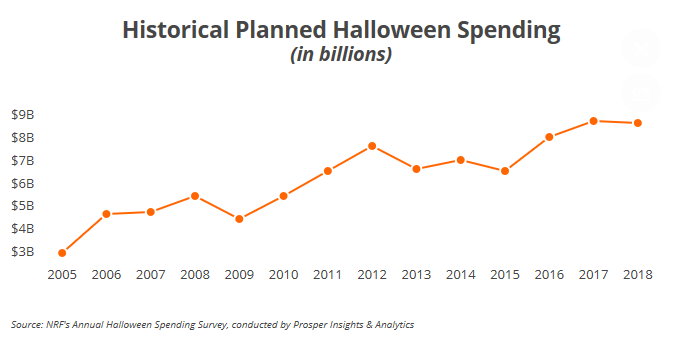 According to the National Retail Federation’s annual survey conducted by Prosper Insights & Analytics, total spending for Halloween is expected to reach $9 billion, the second highest in the survey’s 14-year history. The figure is relatively the same as last year’s previous record of $9.1 billion.